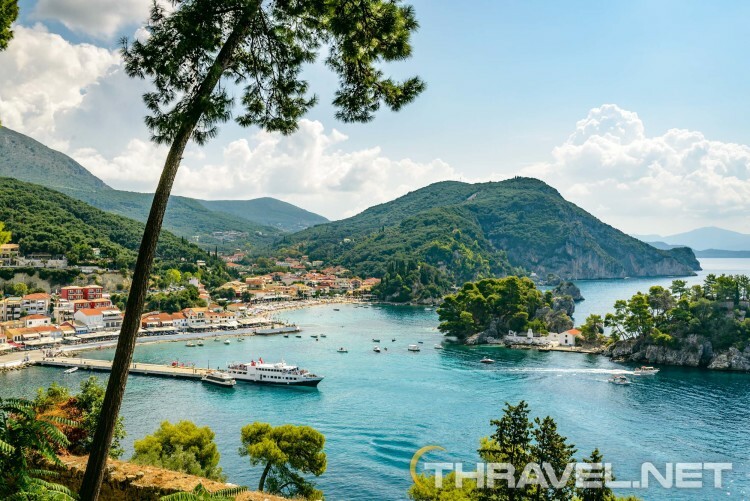 Parga is one of the least known but worth visiting holiday destinations of the Ionian Sea. It is located on the north-western part of mainland Greece which is blessed with a lush and green landscape. Parga is not as famous as other places in the area like Corfu, Kefalonia and Lefkada. 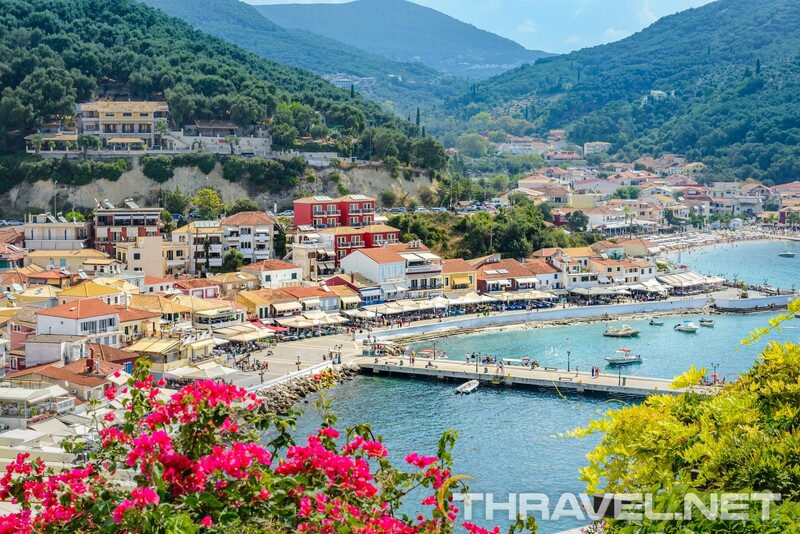 Still Parga looks like a fairy tale place with its beautiful and natural setting and Venetian architecture. Its unique ambiance is highlighted by the medieval castle from where one can admire the emerald waters of the Ionian sea and a small church on the islet of Panaghia in the middle of the bay of Parga. Located on the mainland, the town features island vibes. Parga is built amphitheatrically around the harbour. Tourist enjoy walking around colorful houses during the day and a spectacle of light during the night. The bay overlooks the beautiful islands of Paxos and Antipaxos. Parga is less than a 4 hours’ drive from Thessaloniki. It will take an hour longer to get from Athens to Parga by car. 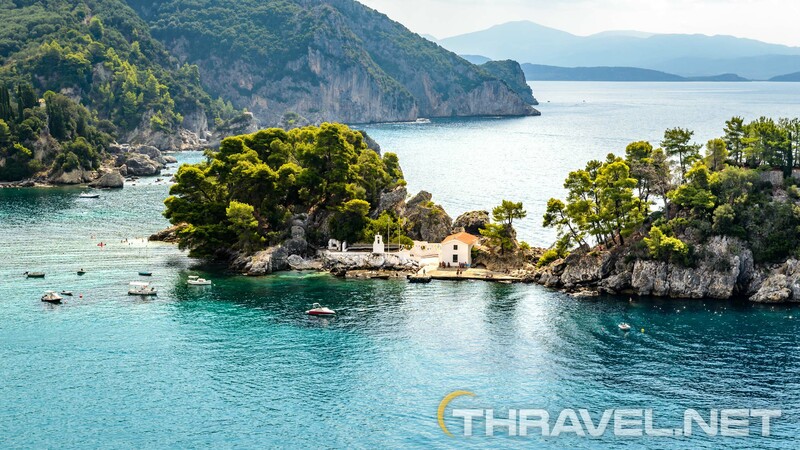 The nearest airport is the Preveza airport which is 40 km south from Parga. Another option is to fly to Corfu then take a ferryboat to Igoumentisa which is 50 km north of Parga. The ferry gets from Corfu to Igoumenitsa in 1.5-2 hours. Parga is nested between green hills and the emerald waters of the Ionian Sea. 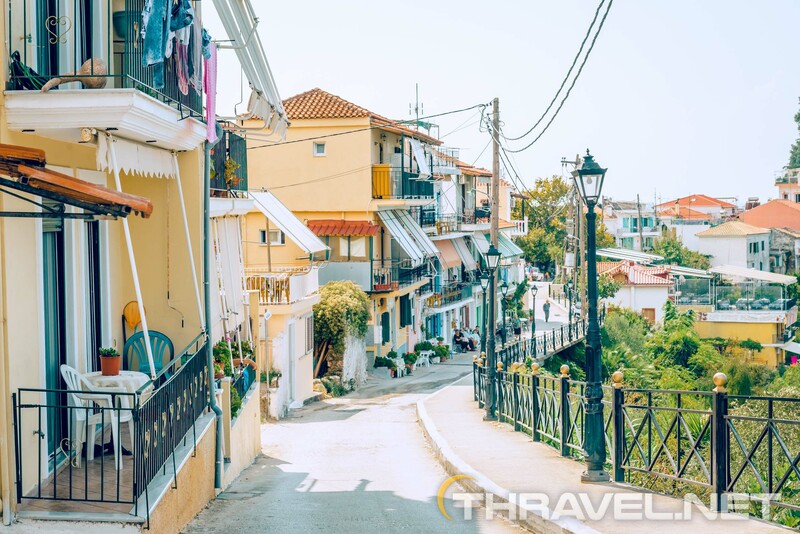 What makes this place special is the combination of two large sandy beaches lapped by the sea, the charming narrow streets promenade to stroll along, the spectacular view over the sea from the Castle of Parga, and many more. There are two routes to get to the fortress. Going from Valtos beach, you have to walk along a steep, uphill alley. 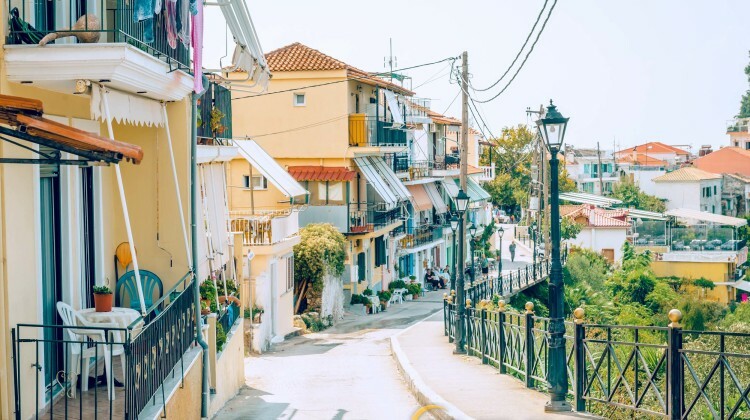 Another way is to go the center by car ( near Agios Nikolaos church) and then stroll along the panoramic street overlooking the sea. The lively streets are packed with artistic shops, cafes and restaurants. 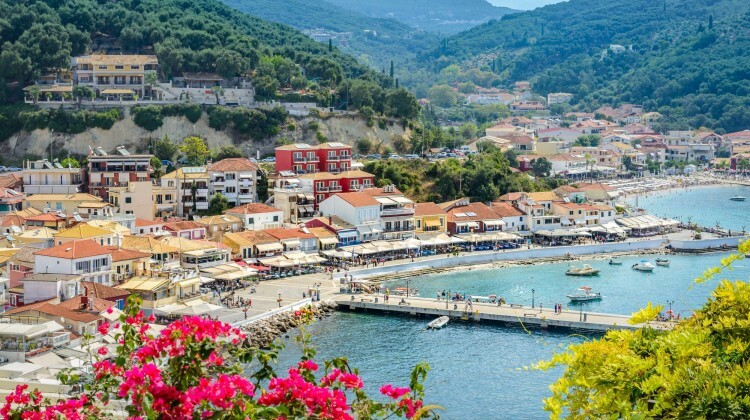 There are lots of things to see and do – whether it be tasting traditional food, buying gifts or sightseeing – Parga offers many activities to keep your entertained. One of the highlights of the city is the picturesque island of Panagia. It features a church and a bell tower. Tourists can visit this this place by swimming or by water bike. 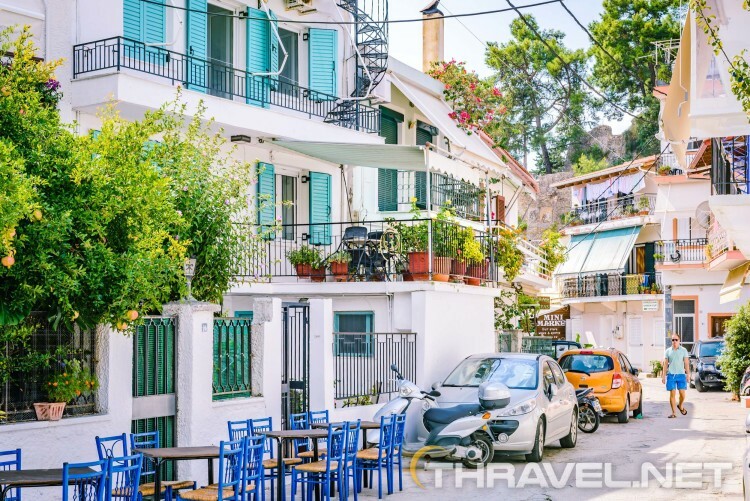 Where to Stay in Parga? While planning our summer vacation, the most important question was where to stay in Parga? We started our research in June 2018 and our preferred dates were 22-30 August 2018. Our first impression was that rates were higher than expected. Then we browsed the properties using Google maps. Located on a hillside at Parga’s outskirts, Villa Perkemes is a quiet and comfortable accommodation. In Villa Perkemes we enjoyed the beauty of quietness . 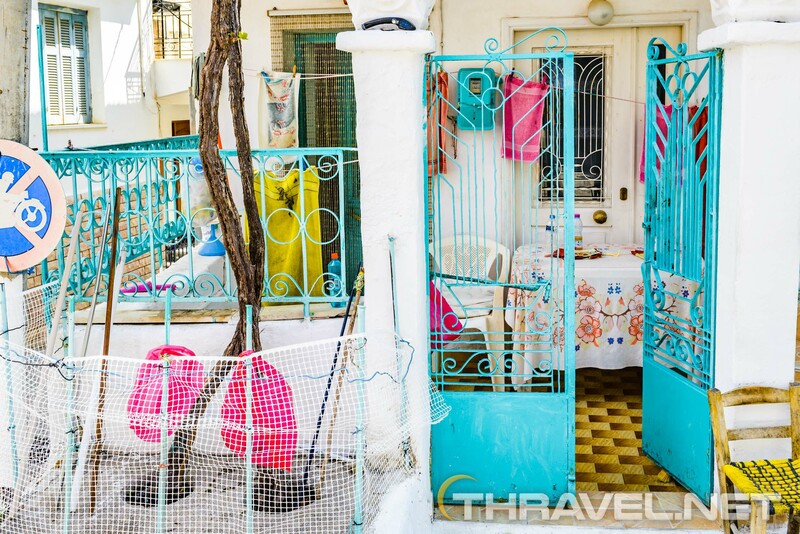 The property consists of eight studios with kitchenettes and 2 apartments. It is a family-run hotel. Frideriki, her husband and their children are taking care of the guests’ comfort. The property features a comfortable parking which is of great value for the tourists with cars. Villa Perkemes is situated on a hill, opposite the famous landmark – the castle of Parga. The best way to get to the hotel is by car. Coming from Parga, the road passes the beach, the camping and then ends at the hotel’s premises. The accommodation is just at a 3-4 minute drive to Valtos beach. There is a walking path to the beach but it leads to the least attractive part of the bay on the northwest end of the beach. That’s why going by car is the most convenient way. Before 10 am there are free parking places on the promenade. Villa Perkemes is 1.5 km from Parga’s center. Since the parking in the city is very difficult, we preferred to walk from Valtos beach to the heart of the city. Villa Perkemes is close to a mini market so guests can easily buy drinks and foods. Studios are large, clean and comfortable. Some rooms feature a king size bed, other offer additional single beds for families with children. The furniture includes a big locker, safety box and night stands. A small flat TV is mounted on the wall but almost all channels are Greek or Italian. The kitchenette is equipped with a fridge, hobs and a set of utensils. We had on our disposal everything we needed. Our studio was cleaned every day. Towels and linen were changed on a daily basis. The bathroom features a shower cabin. Essentials are pretty basic. Our balcony was with a garden view. It was a perfect place to sit there and enjoy the morning freshness. In the afternoons, it was almost impossible to sit on a balcony because of the hot sun. That is why our hosts offer an additional table to each room right in front of the entrance door. This area is shaded in the afternoon so that you could enjoy sitting there. Villa Perkemes, Parga features a large patio where guests can park their cars. All around there are orange trees, olive trees and rosemary. There is also an outdoor shower to wash out the sand from the beach. A more luxurious option was to stay in a hotel near the sea. Part of our group stayed at Pelagos Resort in Parga. The hotel is located 300 metres from the beautiful beach of Valtos. It consists of several rooms which can range from ground floor to sea-view. The hotel has a great garden with sun beds and a hammock where one can relax after a beach day. The room itself has a king size bed, a kitchenette with a stove, refrigerator and cupboards with cups and cutlery. The bathroom is spacious and has a hair drier and a spacious shower cabin. The room also features automatic blinds and an insect net. The room is cleaned daily and the sheets and towels are changed. The area is very friendly and calm and the hotel is of close vicinity to the town of Parga. There is parking available on site. So when someone asks a question where to stay in Parga, there are smart answers. The most affordable option is an accommodation located a little bit further from the center and the beach. Travellers who are not on a limited budget can choose more upscale accommodation. The price for a studio in Villa Perkemes range between 50 and 75 euros per day. Rates in Pelagos Resort in Parga are between 95 and 120 euros. 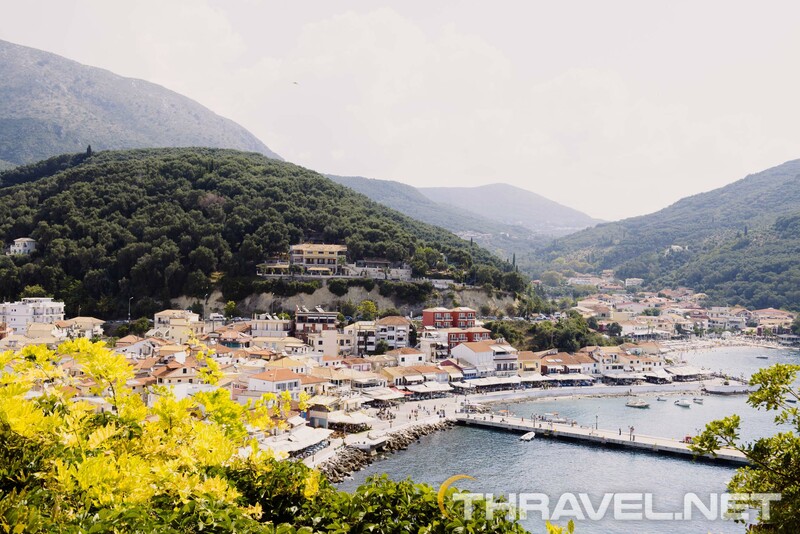 Where to Eat in Parga, Greece? On the first day of our vacation in Parga, we spot a traditional Greek tavern on a small street near the Castle of Parga. There had to be a reason why many people waited to be seated. The atmosphere was fantastic, so we decided to try the food. Sakis Tavern is one of the most popular and busy Parga restaurants. You have to wait until a table is available but while waiting they give you complimentary ouzo. The traditionally styled tables are placed directly on the street. Sakis Restaurant is set in the upper town of Parga but there is no sea view. The menu includes an extensive variety of local dishes. We ate in Sakis Restaurant twice in eight days. Since we were a group of eight people, we tried many meals. In general, the food was good but not outstanding. Appetizers and salads were fresh and delicious but the grilled octopus was tough. We liked mix grill portion but fried squids were too oily. As we have already pointed in our article on Cofru, the food in this part of Greece can hardly be compared to the exquisite cuisine of Halkidiki. Still, the tourists on a summer vacation in Parga are attracted by reasonable prices in Sakis restaurant. The service is friendly and fast. Overlooking the amazing Valtos beach from the hill, Taverna Stefanos is one of the most popular places to dine in Parga. The two-storey restaurant is located on a beautiful setting just below the Castle of Parga. As a client, you definitely enjoy a spectacular sea view. Taverna Stefanos advertises itself as a fish restaurant, but they also offer a wide variety of traditional meals. We tried grilled octopus, fried squids, appetizers and grilled meat. Prices were higher than in Sakis restaurant. All the meals featured the same average taste as in other places to eat near Parga port. Our host Frideriki recommended us To Dichti restaurant in the village of Anthousa. She told us that locals eat there. Compared to the prices in Parga restaurants, this place was more affordable. The taverna is 4-5km from the town (less than 5 minute car ride), on the road to Igoumenitsa. The place is located at the road, near the exit of the village. What can we say about the food? Most guests ate grilled meat. Our favorite seafood (octopus and squids) was not fresh but frozen. Shrimps were tasty but the portion included only 8 pieces. We also tried fried zucchini tzatziki salad, sardine and mixed green salad. We were tempted by the stunning view from the terrace. Once we got there, we were speechless from the scenery. The Agali restaurant is set on a cliff overlooking one of the most beautiful beaches around Parga – Sarakiniko. This was probably the best place to lunch. We liked the food and service as well. The moussaka was really tasty and the portion was huge. Every meal was perfectly prepared but our favourite dish was courgette flower stuffed with cheese. And it is worth to mention that the prices were below the average prices in the area. They serve fresh home cooked food – moussaka, beans, veal in tomato sauce and Greek.salad We were pleased to realize that everything was perfectly cooked. The portions were plentiful and the prices were moderate.